While 1953’s From Here to Eternity won’t qualify as one of my favorites among the films on the AFI 100 list, it still offered a generally solid experience, and one that wasn’t what I expected. Like most people, I know of Eternity’s most famous image: the shot of Warden (Burt Lancaster) and Karen (Deborah Kerr) as they smooch on the beach. How could I not be aware of that shot? The Police even referred to it in their song “Born In the Fifties”! Anyway, that visual led me to some misconceptions about Eternity. I thought it’d be little more than a sappy love story. I knew it involved some military aspects, but I still believed the romantic elements would dominate. Set in Hawaii during the months that preceded the December 1941 attack on Pearl Harbor, As Eternity starts we meet Private Prewitt (Montgomery Clift), who just transferred to a new infantry unit. He’d been with the bugle corps but requested a change for personal reasons. Known as an excellent boxer, his new commanding officer, Captain Holmes (Philip Ober), wants Prew on the squad, but he refuses for more personal reasons. This puts him on his boss’s bad side, and Holmes ladles on the punishments to try to break Prew. Speaking of Holmes, he and his wife Karen have a poor relationship, mostly due to his philandering. She gets around, too, and eventually the captain’s assistant, Warden, makes his move. This starts an affair that leads to gritty make-out sessions on the beach, among other things, and the two try to figure out how they could eventually be together in a less sneaky manner. All of this leads inexorably toward the attack on Pearl Harbor. Director Fred Zinnemann offers subtle reminders of this important date but he doesn’t telegraph them too badly. Of course, the characters show no signs of awareness, but we see characters who read newspapers with headlines related to the Japanese, and we also witness shots of calendars that state “December 6”. These keep the impending events in front of us but fail to become too portentous or forced. For the most part, Eternity neatly avoids excessive melodrama as it combines romantic elements with male bonding. Actually, if I had to pick a theme for the movie, it’d be “duty over dames”. I don’t want to spill too much of the story, but the main characters run into problems due to their conflicting desires; do they do what’s most important for themselves or do they go for what might be the greater good? Not surprisingly - given the era in which it was made - Eternity largely opts for social responsibility, but not for the expected reasons; the characters see more personal motivations to do the right thing. I found the participants to offer fairly rich and deep explorations of roles that could have been little more than stereotypes. Sinatra helped resurrect his career with his turn as Maggio, and he does a nice job in the role for which he won a Best Supporting Actor Oscar. However, I knew that Sinatra had earned additional fame for his work here; what surprised me was the dark and sullen turn by Reed as Lorene. I’m mainly aware of Reed from her wholesome roles like on her TV show and in It’s a Wonderful Life; I wasn’t prepared to see her show any form of edge. She brings it off naturally, and she fully deserved the Best Supporting Actress award she nabbed. 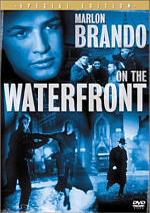 From Here to Eternity appears in an aspect ratio of 1.33:1 on this single-sided, double-layered DVD; due to those dimensions, the image has not been enhanced for 16X9 televisions. Overall, the picture seemed watchable and held up reasonably well for its age. Sharpness usually appeared reasonably solid. At times the image became slightly soft and fuzzy, but this occurred infrequently. As a whole, the picture looked well defined and accurate. No moiré effects or jagged edges caused issues, but I did see a little edge enhancement at times. Source flaws weren’t a concern. The movie could be moderately grainy, but it lacked any significant distractions from specks, marks or other defects. Black levels mainly came across as fairly deep and dense, but contrast could appear a little weak. Some interiors seemed to be too brightly lit, and nighttime exteriors occasionally looked too dense. Shadow detail normally appeared pretty clear and acceptably visible, however, as I thought the low-light scenes were nicely balanced for the most part. All of this added up to a pretty good “B” for the image. In terms of audio, two English mixes appeared. Given the age of the material, the film’s original monaural audio sounded quite good. Some of the dialogue was poorly looped – especially the beach shots, which seemed very artificial – but the speech usually appeared reasonably warm and distinct, and I detected no problems related to intelligibility or edginess. Effects showed thinness typical of the era, but they remained acceptably clean and accurate, and the explosions even offered a modest boom; I won’t say that my subwoofer got a workout, but the low-end material seemed more than adequate for a film of this era. Music displayed good clarity and depth as well. A slight hum appeared on a couple of occasions, but overall the mix lacked source defects. Overall, this was a good representation of an older monaural soundtrack. In addition to this mix, the DVD packed a Dolby Digital 5.1 remix that seemed like something of a mixed blessing. On the positive side, this new track definitely opened up the soundfield. During quieter scenes, I heard gentle ambience as well as the occasional example of audio from the sides. For example, speech might come from the left speaker, or the closing of a cabinet might pop up from the right. Louder scenes provided expanded material, and they came to life fairly well. Of course, the Japanese attack at the end offered the most active sequence, and the battle demonstrated pretty good localization and blending. Elements moved across the spectrum well and meshed together surprisingly smoothly. Scenes like those in bars and clubs also benefited from the broadened soundfield, as they presented a decent sense of atmosphere. The beach shots featured the most noticeable examples of split surround usage, as the waves crashed behind us. Like some other segments, those elements sounded somewhat unnatural at times, but usually the track came across as acceptably well integrated. The mix’s producers didn’t go crazy with effects placement, so the soundfield seemed positive for the most part. The 5.1 mix lost some points when it came to audio reproduction, however. Some elements displayed a bit too much reverb, a concern that seemed especially noticeable during dialogue shots. The speech didn’t come across as terribly hollow and thin – I’ve definitely heard much worse from remixes – but it lacked the warmth heard during the mono track. Effects and music also seemed a little more shrill and harsh, though they remained more than adequate. In addition, the 5.1 version suffered from elevated noise levels that didn’t appear during the mono edition. 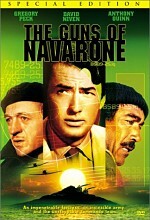 In the end, the two soundtracks heard on this DVD both earned “B-“ ratings, though for different reasons. The 5.1 mix presented a nicely engaging soundfield but offered weaker audio quality. The mono track lacked the expansive and involving spread but it boasted stronger sound as a whole. Both seem good, so whichever one you choose will depend on your personal preferences. When I made comparisons with prior DVDs, matters became a little complicated. In addition to the original 2001 release, Columbia put out a Superbit Edition in 2003. I thought both offered identical picture quality but they featured different audio; in addition to the original monaural, the Superbit added a DTS 5.1 track. In terms of audio, I thought this 2008 “Best Pictures Collection” version seemed the same as its predecessors. The mono track sounded a lot like that of the earlier disc, and the Dolby Digital 5.1 remix matched up with the DTS one from the Superbit. The 2008 edition improved upon its predecessors in terms of visuals, though. Actually, I though all three looked very similar except for their print flaws. While the original and Superbit discs suffered from many specks and marks, these went largely absent here. That made the 2008 “Best Pictures Collection” disc easily the best of the bunch; it made Eternity look much better than in the past. The “Best Pictures” disc brings back most of the extras from the 2001 disc. We start with an audio commentary from director’s son Tim Zinnemann and Alvin Sargent, a bit actor in Eternity who later worked with the elder Zinnemann on 1977’s Julia and who also became a successful screenwriter. He snared Oscars for his work on Julia and 1980’s Ordinary People. Both men were recorded together for this running, fairly screen-specific track. On the positive side, the commentary starts off very well. During the first half of the movie, the two contribute a lot of useful information. Zinnemann relates many details about the production and his father, and he tosses in some personal perspective from childhood encounters with some of the stars, especially Montgomery Clift. Sargent also provides good notes about Fred Zinnemann and his brief experiences on Eternity as well as some of his later work. However, the track peters out badly during the second half of the movie. Long stretches of silence start to dominate, and even when the men speak, their remarks tend to be fairly bland. Some interesting facts still appear from time to time, but with much less frequency. Overall, I think this is a fairly good track at times, but be warned that it doesn’t keep up its early pace. A few other supplements appear as well. Possibly the crummiest program of its sort that I’ve ever seen, we find a two-minute and 25-second piece called The Making of From Here to Eternity. No, that’s not a misprint; the featurette really does last less than two and a half minutes. In its entirety, it tells us that only Burt Lancaster was anyone’s unanimous choice among the main actors; all the others had opposition. We also find out that the romantic beach scene is really famous. We glimpse scant shots of Fred Zinnemann’s behind the scenes home movies from the set, but these amount to maybe 10 seconds total; otherwise we simply hear a narrator and watch snippets from the film. All of the information already appeared in the commentary, and in greater detail. Whose idea was this joke? It’s about as useless a featurette as I could imagine; it’s pointless and it seems actively insulting to find something this inane presented as a “making of” program. Somewhat stronger - but not by a ton - are the Excerpts from Fred Zinnemann: As I See It. This nine-minute and 32-second program combines movie clips, more home movies, and interviews with Zinnemann. Most of the latter seem to come from the Nineties, though one appears to be from the Fifties or Sixties. The brief home movies continue to be moderately interesting, but Zinnemann’s remarks become redundant after the commentary, which provides most of the same information, and in more detail, too. For example, Fred Zinnemann discusses the studio’s original choice to play Prewitt but doesn’t name him; Tim Zinnemann tells the same tale but lets us know who Columbia wanted. The program also includes far too many movie snippets; I’d estimate those fill more than half of the short show. Ultimately, it’s mildly watchable, but not very compelling. Does the “Best Pictures” disc lose anything from the 2001 release. Yup – it drops some filmographies, trailers for Eternity and some other flicks, and production notes inside the package’s booklet. It’s too bad the 2008 disc drops the trailer, but I don’t miss any of the other extras. Overall, From Here to Eternity offered an interesting and surprisingly gritty experience. I didn’t get what I expected, but that was fine with me, for I enjoyed it a lot more than I anticipated. The movie showed its age at times, but it still appeared to work quite well. The DVD provides good picture and audio plus a weak roster of extras supported solely by a sporadically informative commentary. As I write this in December 2008, this particular edition of From Here to Eternity can be found only as part of “The Columbia Best Pictures Collection”, an 11-movie set that also includes It Happened One Night, You Can’t Take It With You, All the King’s Men, On the Waterfront, The Bridge on the River Kwai, Lawrence of Arabia, A Man for All Seasons, Oliver!, Kramer Vs. Kramer and Gandhi. Because of that, From Here to Eternity fans face a potential dilemma. I think they’ll like this new transfer, but they’ll have to decide if they want the other movies as well; obviously no one will spend $135 just for one flick. Don’t expect miracles from the 2008 presentation, but it does offer a definite improvement over the earlier transfer. 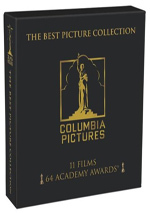 Footnote: in addition to From Here to Eternity, the “Columbia Best Pictures Collection” includes four other exclusive transfers. The versions of All the King’s Men, On the Waterfront, Oliver! and Kramer Vs. Kramer all appear here and nowhere else. As for the rest, they can all be purchased elsewhere. As I write this in December 2008, the 2006 transfers of It Happened One Night and You Can’t Take It With You may or may not be bound to “The Premiere Frank Capra Collection”; Columbia released remastered editions in December 2008. I expect those are the same as the “Premiere” editions, but I don’t know that for a fact. 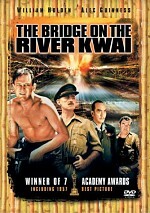 Kwai and Lawrence provide the same versions found in their 2008 Special Editions, while A Man For All Seasons and Gandhi come from 2007 SEs. At least this means the “Best Pictures Collection” never relies on transfers from the early 2000s or earlier; none of the set’s editions were produced before 2006.